This is going to come as such a great news for all H1B Visa holders, who work in US. After nearly year since US Govt first announced it’s intention to change the immigration rules to allow H1B Visa holder’s spouses to work in the U.S., it has finally been approved. According to WSJ report, spouses of certain high-skilled immigrants working in the U.S. will soon be able to apply for work authorization of their own. The Government made this announcement on Tuesday and the regulation will be published on Tuesday and will come into effect 3 months from now! H1B Visa has been the talking point, especially in Indian software services industry for a very long time now. Each year, a set number of applications open up and more often than not the entire quota is over within days, if not weeks. The demand for H1B, skilled workers visa has always been quite high, though it is not the same what it used to be in mid-2000’s when it’s popularity was at its peak. Generally, engineers working in large software services company pick up this visa so they could work in the US. While they are very much appealing to young unmarried population, for married professionals it is not all that great. The reason – spouses of H1B visa holders cannot work. But that may soon change as the U.S is planning to change the immigration rules that will make H1B more attractive to married professionals. According to a statement made by White house, spouses of H1B visa holders will automatically get work visas, which will allow them to legally take up a job in US. If this new change gets through, it will become much easier for large IT companies in India to send talented married professionals to the US as both of spouses can work legally. 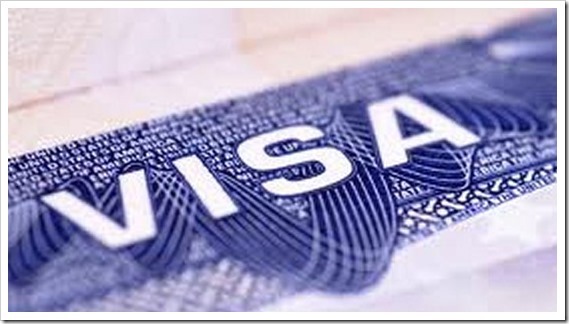 Till date, on certain type of Visas – Like L1 Visa – allowed spouses to work. Every year, nearly 65,000 H1B visas open up and if the demand is higher than the visas available, then U.S. Citizenship and Immigration Services conduct a lottery (like last year) or select applications on random basis. For IT companies, this may work out very well, especially if husband and wife both work in the same company. They can actually send 2 professionals to US to work only on one visa. Given the costs of H1B visa, they too stand to save a lot of money due to this change. Think you are Lucky; Try the H1B Visa!